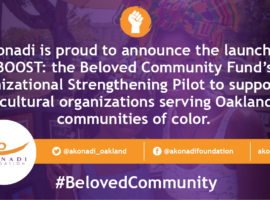 March 27, 2019 Oakland – Akonadi Foundation will be distributing $255,000 through its final round of grants of the Beloved Community Fund to 17 organizations. 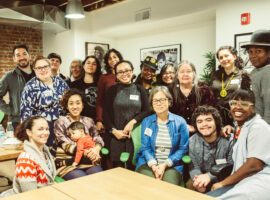 The last few months have been a busy time for us as– after 20 years of grantmaking to support racial justice movement building in Oakland, we are getting ready to go all in on ending the criminalization of people and youth of color in Alameda County. Akonadi Foundation’s mission is to support the development of powerful social change movements to eliminate structural racism and create a racially just society. 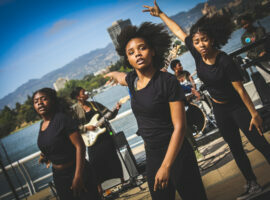 Study by Akonadi Foundation and Kenneth Rainin Foundation fills critical gap in research on small organizations serving people of color Oakland, CA – A new report released today by Akonadi Foundation and the Kenneth Rainin Foundation finds that small arts and culture organizations leverage cultural practices to lift up urgent community issues in Oakland, but are facing challenges that hamper their growth, stability and sustainability. 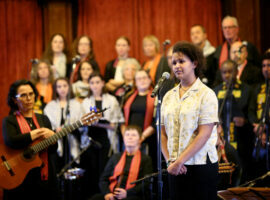 By Vanessa Camarena-Arredondo The South African Freedom Movement. The Black Liberation Movement. The Chicano Art Movement of the 1960s. The AIDS Memorial Quilt. Akonadi Foundation’s Beloved Community Fund supports free public art and cultural events that use art and culture to build voice, power, and self-determination in communities of color. 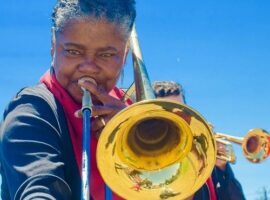 February 2018 We are excited to announce the launch of BOOST: the Beloved Community Fund’s Organizational Strengthening Pilot, which will support under-resourced arts and cultural organizations serving low-income communities of color in Oakland. 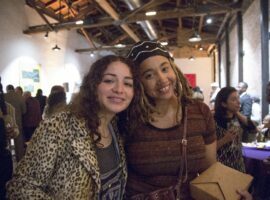 By: Vanessa Camarena-Arredondo As I reflect on the Beloved Community Fund in 2017, I am moved by the beautiful cultural work under way in Oakland, through projects that center racial justice, work across cultures, and show true love for our city’s communities of color.